Comments The fourth day of the Navratris celebrates the adi swaroop, the ashtabhuja – very distinct and powerful mother Kushmanda. Mother Kushmanda is believed to have created the universe. This goddess with a Sun like brilliant aura is said to reside in the centre/ heart of the Sun. She is believed to sustain the universe with her gentle warmth, she spreads through a light smile. 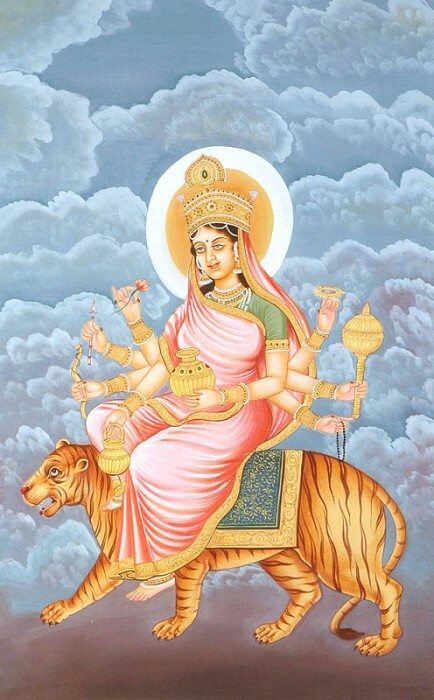 Her mount is a tiger and she is depicted with eight hands carrying objects and weapons that are vital for conquering the spiritual as well as the temporal realm. This is the day when the meditation is focussed on the anahata or the heart chakra. This chakra lies at the chest level and is all about balancing the energies of the chakras below and above. It is about moving beyond ahat/ hurt/pain/suffering. 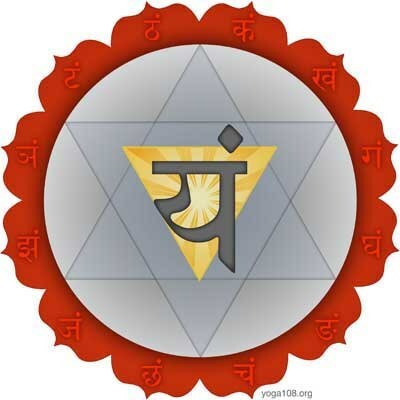 The heart chakra is characterised by a 12 petalled lotus of deep red color. The energies of Mother Kushmanda radiate in the 12 directions marked by the lotus petals. It is an area where energies expand to embrace. Worshipping Mother Kushmanda can beget the worshipper material wealth as well as riddance from evil and fears. The splendour of beauty and wealth is seen vividly in the gemstone featured today – a natural flawless jyotish quality round brilliant cut diamond of 0.27 carats / 27 points set in 22-karat gold as a Venus talisman ring. It is a flawless diamond with lot of fire and brilliance. Diamond is the only one among the jyotish gemstones that works just through the passage of light and its touching the skin is not required. Diamonds weighing 0.20 carats/ 20 points and above will give jyotish results. 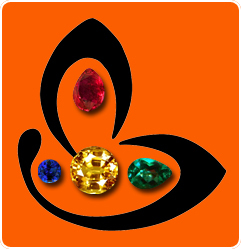 Natural diamond or heera/ vajramani is the gemstone of Planet Shukra/ Venus and is used to harness its powers. 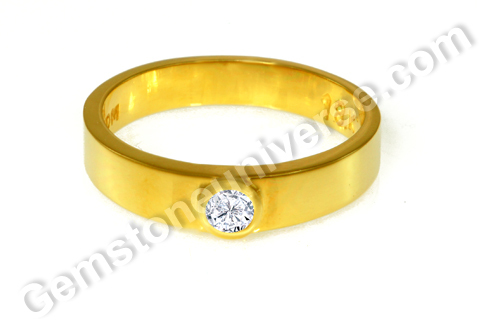 Natural diamond is a suitable gemstone for individuals with vrishabh lagna or Tula lagna. In other words, a gem that can be worn by individuals with Taurus or Libra ascendant in the natal chart.